Wed Sept 29th 6:30pm at Mattacheese. There will be a vote to appropriate money from the the town’s budget to the school budget. Should be a short meeting. Hope to see you there! 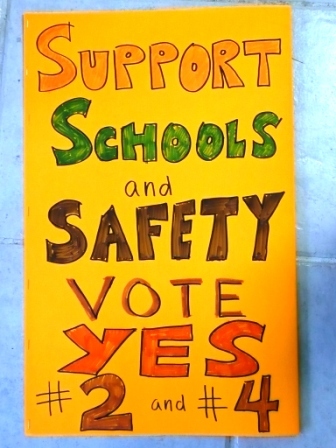 As you are aware, the school committee is considering cuts in the school budget and will make a decision at their next meeting on Wed June 2nd (7pm at SAE I believe). I believe everyone of us would like to see zero cuts, however I also believe that compromise will increase our chances of winning an override on the second try. Even with the argument of a confusing ballot, which I think hurt us, by making some small cuts, we have a better chance to win over more voters. Hopefully the Town of Yarmouth will also be motivated to find additional funds and bring the override number even lower, which I believe at least one selectmen has discussed publicly. OK, so here’s the important part: We should all let the school committee know our opinion. ..YOUR OPINION. What cuts do you think are unacceptable? What cuts, if any, do you think are acceptable? Their emails are at the end of this message. Here are the handouts that outline proposed cuts and potential impact from the most recent May 24th school committee meeting. If you’re not sure of a particular reduction, I would recommend calling or emailing the Superintendents office. Please let the school committee know your opinion on the cuts so that you won’t see a loss of something that you think is too important to lose. Please pass this article to other parents and citizens who you know want to have their voice heard. Hopefully by sharing our opinions it will help guide the school committee to the best decision. Feel free to share your thoughts with our community in the comments below. I ask that you keep them cordial and constructive. Thank you! Road Race Countdown, Silent Auction Items! 3 Days to go until our Road Races!! Our fundraiser road races are on Sunday May 16th, 2010. They both start and finish at The Skipper restaurant in South Yarmouth on South Shore Drive. “Faces of Our Future Kid Road Race” &” YPD 5K Road Race” Information. 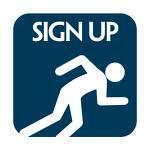 If you just need the signup forms here they are. Please fill them in and bring them with you on race day. Registration starts at 9:30am! Silent Auction Items: Come Ready to Bid! The organizers of the kids race have amassed over $10,000 worth of silent auction items generously donated by local businesses. You’ll be able to get great deals on these items! Please take a look at what we have and come ready to bid on these great items. Proceeds benefit the DY Schools. We only raise money on items that are bid on, so we look forward to everyone bidding! If you plan to bid, please bring cash or a check as we can’t take credit cards. Thank you. Here is some additional information on the YPD 5k road race. Raffling many items including and Apple iPAD! Here is a free coloring page download that your child can print out and color in. The cheering sheet can then be brought to the race for parents or older sibliging to hold while they cheer on the young kids in their road race. HUGE KUDOS go to Stephanie Flynn, Marie Terrio, and Stacy Ferreira for their amazing work getting this set up in such a short amouth of time. And of course we could not have done it without the generous partnership of the Yarmouth Police Department, allowing us to combine our road race with theirs. We are deeply grateful for their generosity and camaraderie! We’ll see you next Sunday for a lot of fun! Thanks! Election day was disappointing. The question #2 override for the school lost 2210-2701. I think a lot of this was due to the fact that there were two ballot questions for the schools. Some people thought the schools were asking for both. I’m told that some people actually voted yes on question #3 with the good intention of giving more to the schools, not realizing that by voting no on #2 (the lesser amount), it actually hurt the schools. So but all hope is not lost. The next stage is the school committee will review the budget again. Perhaps they will be able to reach a negotiation between themselves and both towns whereby each group comes up with a portion of the money needed. If that’s not possible, there could be another special election for another override question, where the amount might be the same or less. The good news then is that there is hope to get the budget squared away so that there will not be a need to cut programs or teachers. Monday May 17th at Station Ave Elementary School at 7:30pm. They will be discussing our participation in the school choice program along with other agenda items. Thank you for everyone’s efforts this year so far trying to help the schools! If you want to support education and DY Schools at the polls on Election Day May 11, 2010, here’s what to look for on the ballot. Question #2 is the one to vote YES on. This approves an override for $952,810 for the DY School District to make up the shortfall in their budget funding. You can ignore Question #3 or vote No on it. Question #3 is a moot question since the rooms and meals taxes were passed at Town Meeting last week. Because of this the DY School District does not need the $1.5 million asked for in this question. We also support Voting YES on Question #4. This question will give $950,000 to Yarmouth Police, Fire, DPW (Publice Works), Natural Resources, and Recreation Department. Each of these departments will use the funds to increase public safety. Police will be able to increase current staffing levels from 5/4 officers, 1 Sargent, & 1 dispatcher per shift to 6 officers, 2 sargeants, & 2 dispachers. The fire department will be able to staff closer to the levels they should be at also along with saving on overtime money by having those higher levels of staffing. Recreation will be able to have better beach safety by hiring more life guards. The police and firemen of our town have made great concessions in their contracts. This override will allow them to serve and protect our town well. Here is a PDF of the actual ballot that you will see when you vote on Tues, per Yarmouth Town Hall. We are One Community! We rise and fall together. Vote YES on Question #2 & #4. Strong Schools + Strong Public Safety = Strong Community! Don’t forget to vote! And remind your friends and neighbors. A group of “professional educators, some retired and some active, and residents of Yarmouth” has written into The Register supporting a vote for education. (Question #2 on the Yarmouth Election Ballot May 11, 2010). Please pass this on to your Yarmouth friends who need information on voting.